My friend Debbie recently went to Costa Rica and brought me a guide to Costa Rican birds! Wow, they are so beautiful and colorful! I sure would love to go birdwatching there, especially to see a Resplendent Quetzal. 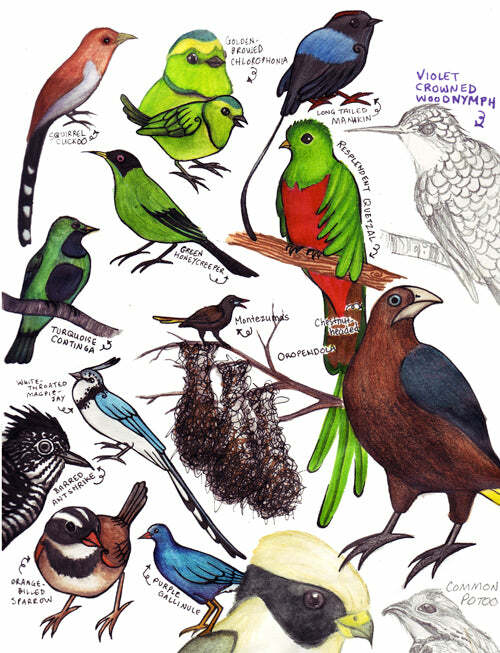 Here is a page from my sketchbook with some of the birds I found interesting.